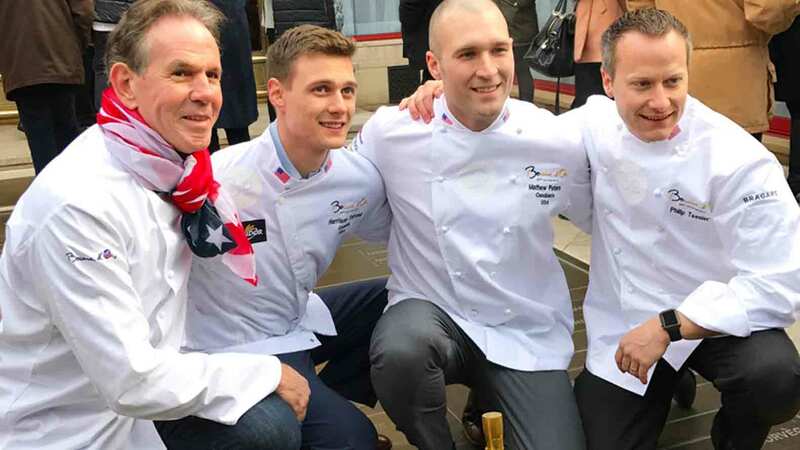 Years before the American flag was raised outside Paul Bocuse’s flagship restaurant in Lyon, the chef was a young soldier fighting in World War II. He took a bullet from the Germans, and was sent to an American field hospital for a life-saving blood transfusion. 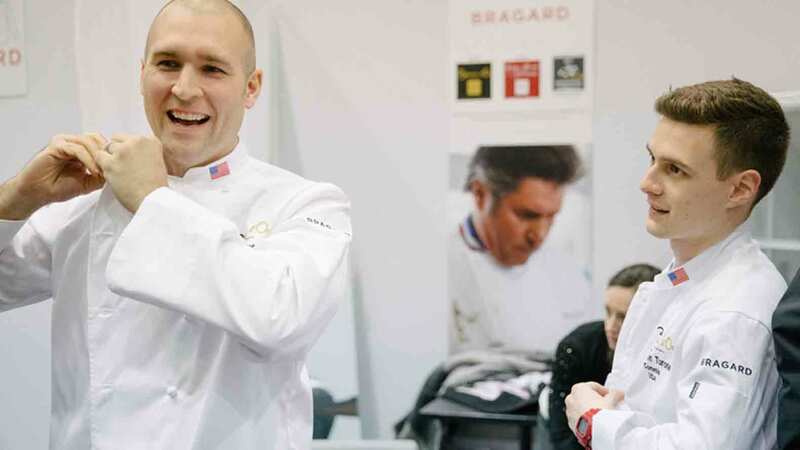 “After that, he felt he had American blood in his veins and from that day on, he felt he owed something to the U.S.” says his son Jérôme, now president of the Bocuse d’Or. 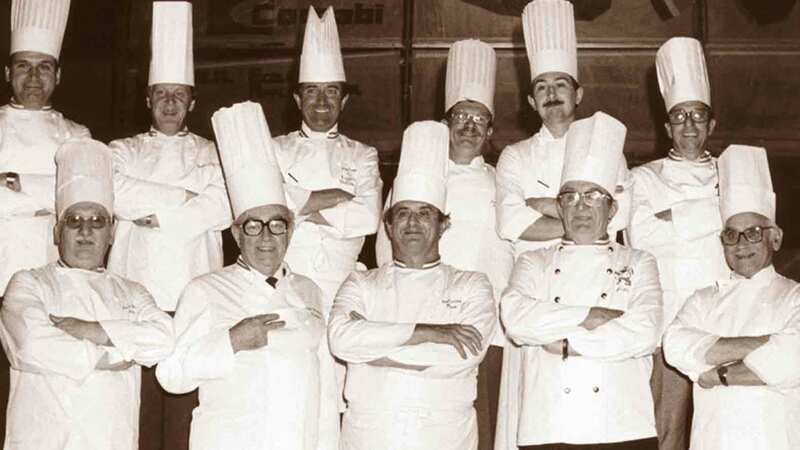 The elder Bocuse’s pride for America and admiration of its culinary scene grew in the late '70s, when he traveled here to try what he considered the best beef and Idaho potatoes in the world. 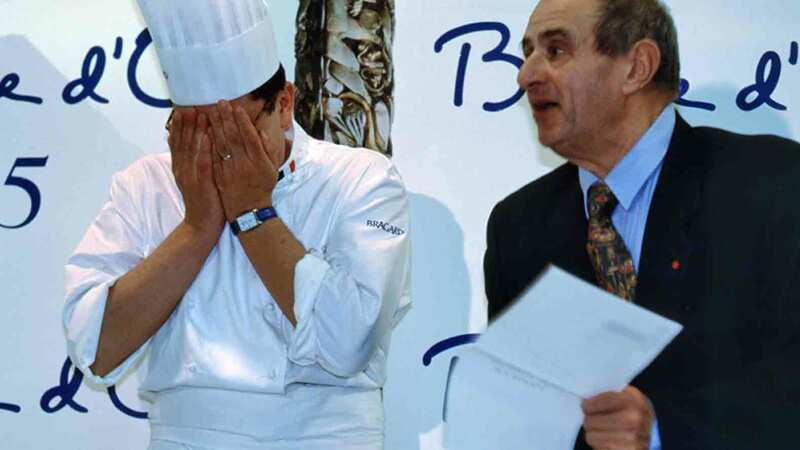 Regis Marçon of Team France tearfully takes the gold at the 1995 Bocuse d’Or. Today, more than 60 countries vie for spots in a venue twice the size as the original, and instead of prepping for just a few weeks, they train as long as two years. That’s true. 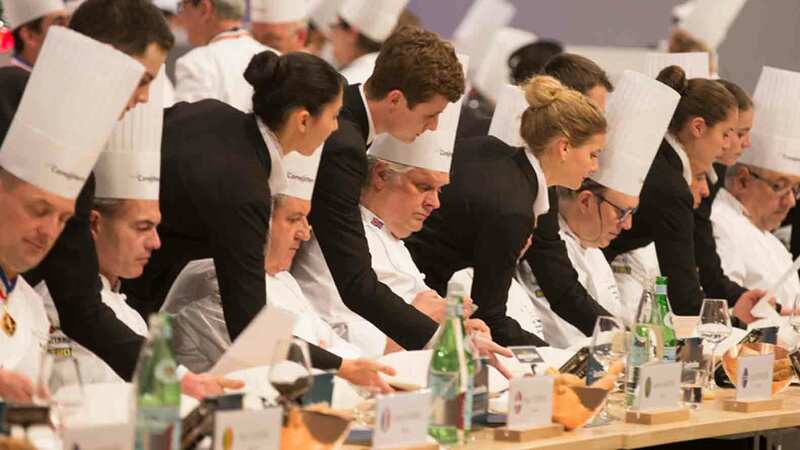 Every year the Bocuse d’Or gets more applicants, supporters, young chefs, advisors, coaches, spectators, and media, so much so that a new, larger arena is in the works for 2019. “I think my father never envisioned the dimension of the event now,” Jérôme says. It’s no surprise that it’s been Europeans, mostly French, who won the competition. 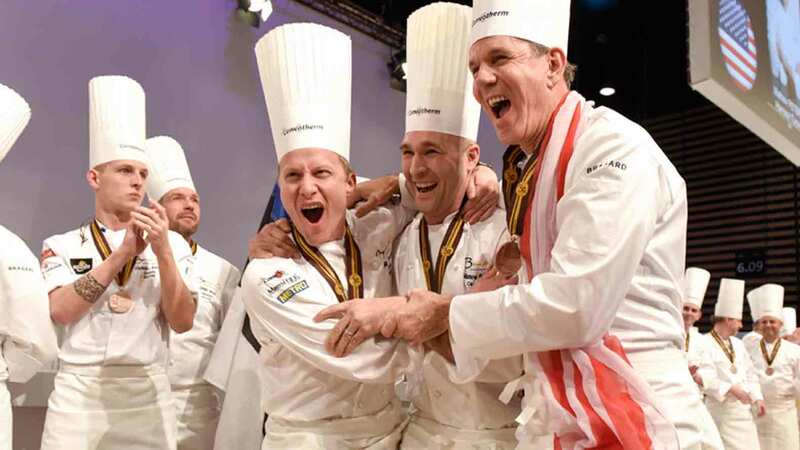 Denmark, Norway and Sweden have also taken top spots nearly every year since the competition started. 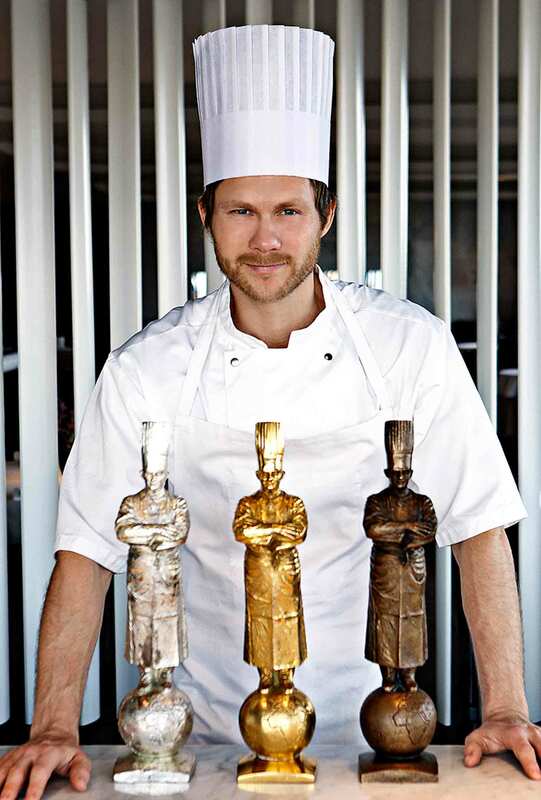 While France has taken the gold seven times, and Norway has ranked in the top three nine times, Rasmus Kofoed of Geranium in Copenhagen holds the distinction of being the only chef to place three times—he took the bronze in 2005, silver in 2007 and gold in 2011, as documented in the movie, The World’s Finest Chef. 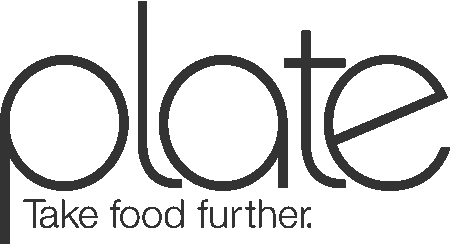 Since his wins, Kofoed has returned to the competition to coach, and enjoyed the increased business at his restaurant. 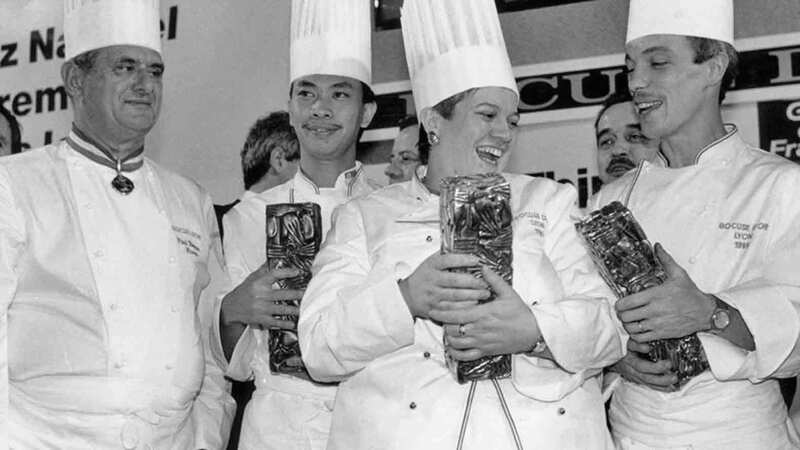 Léa Linster accepts the gold, while Pierre Paulus takes silver and William Wai nabs bronze at the 1989 Bocuse d’Or. 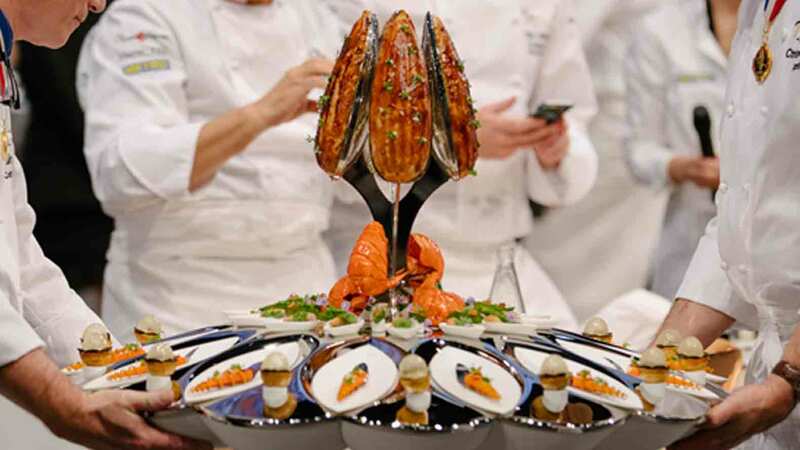 Bocuse has traditionally been dominated by European competitors, mostly men. That said, women do compete each time. This year, Jessika Toni represented Team Uruguay and Giovanna Grossi represented Team Brazil. 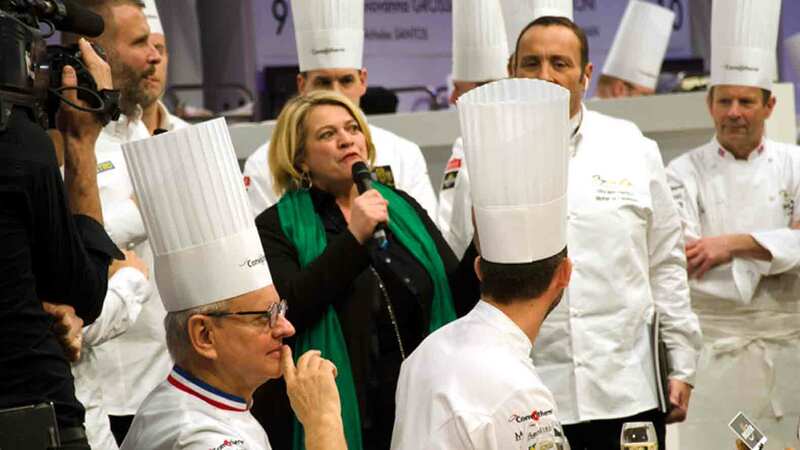 Female chefs have served as leaders and commis for almost every competition, going back to the first one in 1987, when Susan Weaver represented Team USA (she applied under the name S. Weaver to not immediately let on that she was female). But the only woman to take the podium is Léa Linster of Luxembourg, who nabbed gold in 1989. “I was lucky I could compete, because at that time, it wasn’t normal that women went to a competition like this and especially not in France,” she says. 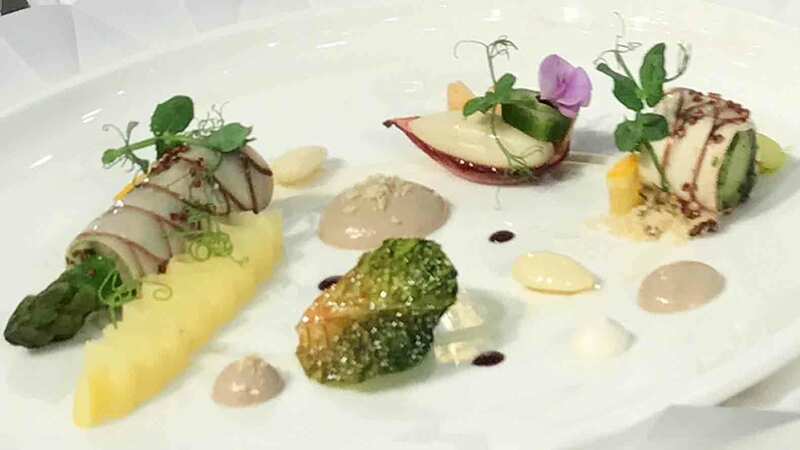 Her trophy-winning dish was a lamb saddle in potato crust, a dish she still serves at her namesake restaurant. 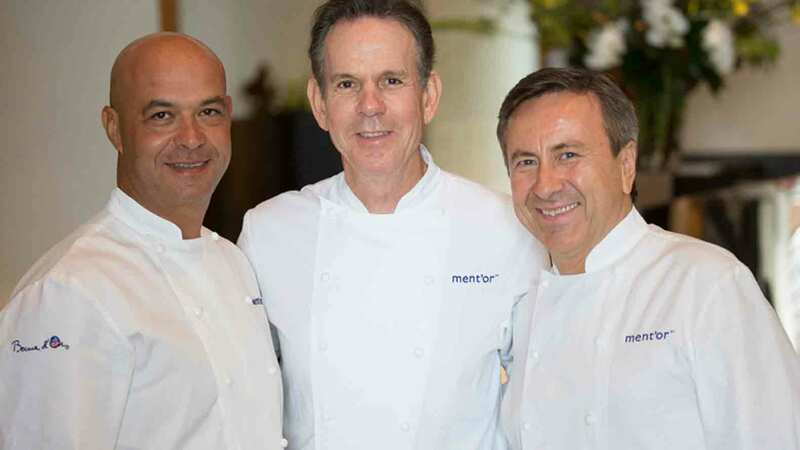 Beautiful, brought tears to my eyes, so proud of our USA "TEAM', along with the coaches and former Chefs who have competed in the past.